Skydiving instruction. Parachute rigging and maintenance. application, and practice. You benefit from relentless attention to detail. 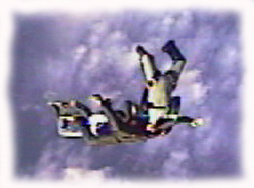 You get the very best in freefall instruction and parachute maintenance. comfort of your pilot emergency chute, there if you need it. Parachute Magic. Located just east of the Twin Cities, in Baldwin, Wisconsin.